This is the 6th of 80 provinces alphabetically in the Philippines. I hope that I will be able to continue to show the beauty of the Philippines with the pictures I choose here, plus the pictures and stories at the websites the pictures are linked to. 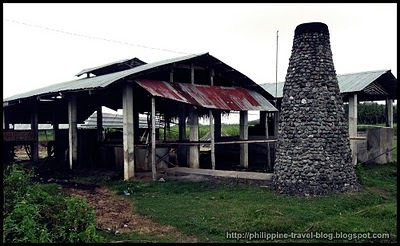 Antique (pronounced /ɑːnˈtiːkə/) is a province of the Philippines located in the Western Visayas region. 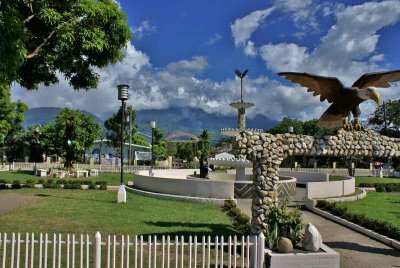 Its capital is San Jose and is located at the western portion of Panay Island, bordering Aklan, Capiz, and Iloilo to the east. Antique faces the Sulu Sea to the west. Useless Knowledge: A bowl of lime Jell-O, when hooked up to an EKG machine, exhibited movements virtually identical to the brain waves of a healthy adult man or woman. 13 Aug – Hits @ 0040 = 902376 = 8315. I got up sometime this morning, I think. I went to check the website and the MJTS, but nothing new on either. I went outside in the cool breeze, but not much going on there either, but that’s a good thing for outside in the cool breeze. However, I am going to have to figure out something to write about today. The last couple of posts have been on the short side and I’d like to try to make this one just a little bit longer than those. I did get to talk with Scott some more today on Envolve. Speaking of Envolve, it’ s been hanging in there the last couple of days with no disappearing acts. I have volunteered to help their support department solve any further problems, but I hope there will not be a further problems to help with. Scott informs me that he and his wife may be coming to the Philippines next May. Of course we plan to be in Texas next March through July, but neither of those plans are set in stone yet. I know mine can change at anytime. For breakfast today, which I just finished @ 11:30, I had an omelet. I was limited on ingredients and could have done a better cooking job, but it was decent. Next time I plan to get some cheese, although it is the filled cheese. I will also grill all the other ingredients: Potatoes, Peppers, tomatoes and onions, before putting them in the egg. If I had the ham and cheese it would be about the same as any omelet I get in Texas, except not usually the potatoes on the omelet, even though I have had hash browns on an omelet before, I usually have them on the side. It’s all going to the same place anyway. I was going to eat out at the picnic table, but there was a customer, so I went in LolyKat. I talked with J for awhile while I ate. He is doing homework, converting pounds to metric and vice versa. I finished that Level 4 of Plants vs. Zombies. By the time you read this it should be on the website already. I probably already started Level 5 by now too (but I haven’t). Useless Knowledge: The typical woman living in seventeenth-century America gave birth to 13 youngsters. Benjamin Franklin, born in 1706, was his mom’s 16th kid. It’s getting pretty close to my first Fantasy Football draft as a Commissioner of the league. I haven’t counted my total number of leagues this year, but I’d estimate it to be around 20 right now and it probably won’t change much either. I usually have more than twice that, but this blog, improving and maintaining it, is taking up lots of time and it is more important. I don’t want it to cut into my killing terrorists and zombies time either. Of course if MJTS ever gets a customer, that will be more important also. That would be the most important thing actually. I can always get caught up on the blog if I get behind. Dissing a paying customer that is just trying to have a nice vacation would be a major mistake and it’s just something I wouldn’t do anyway. I woke up from about a 2 hour nap around 2:20pm. I came in here to the computer room, nothing new. I was going to drink some of my water, but Lita felt like drinking Coca-Cola, so I went to get some Red Pepsi for her. I’ll just help her drink that and save the water for later. At 3:21pm it started raining again. It was a pretty good amount of it also. This evening I went out by the road and Lita was there. She says she is standing there because she has a stomach ache. I don’t know. I didn’t argue. I just said, “Yes dear”. While we were standing there this little girl walked over from across the street and just stood there staring, mostly at me. After awhile of her just standing there, no saying anything, Lita talked to her. Lita laughed about what she said. The little girl did Mano with Lita and then came over to me to do the same. After she left, Lita told me that she said her mother told her to respect ‘old’ people <that’s when Lita laughed>, especially at night. What does she mean, “old”? I ain’t old. Well I guess to her I am old. She was a sweet little girl, just that when she was standing there just staring, it was weird. I guess she wanted to say something, but she was scared. Now, as I’m sitting in the computer room writing the notes, I hear Lita outside telling Vicky and Sally and they are all laughing about it also. Well I guess I figured out how to put my picture in there, because it’s back. I don’t even know what I did, but it doesn’t matter, it’s back. I was just checking my arms. There is a lot of flab there from where I lost all that weight. When am I going to start working out? Useless Knowledge: Badminton is the world’s fastest racket sport: a shuttle, commonly known as a birdie, can leave the racket at a speed of almost 200 mph. Badminton was first recognized as an official Olympic sport during the 1992 Summer Games. More than 1.1 billion people watched badminton’s Olympic debut on TV. 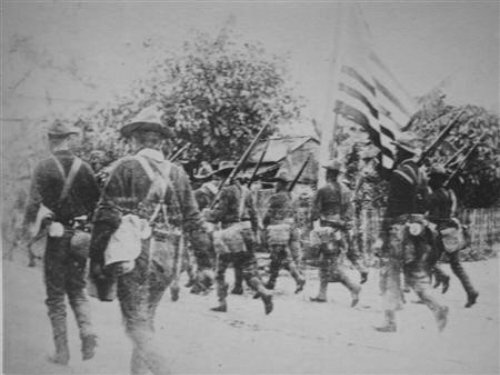 1898 – The “Mock Battle of Manila” occurs between Spanish and American forces, a day after the signing of the Protocol of Peace, as part of the two powers’ imperialistic, shoddy and detestably anti-democratic deal to transfer Spanish colonial possessions to the United States, thus depriving thus depriving Filipinos of their rightful revolutionary victory against colonial Spain; President Emilio Aguinaldo y Famy of the still-in-revolution Philippine Republic, who was conned by US Admiral George Dewey and other military and diplomatic officials into forging an “alliance” with the Americans against Spain on mere verbal assurances that the Bald Eagle nation will honor Philippine Independence, earlier stupidly allowed the free entry of American soldiers in the Southeast Asian archipelago starting two months earlier in June, thus delaying what should have been the Filipinos’ victory in Intramuros, the colonial seat of Spanish power–this, despite the fact that Filipino revolutionaries had already encircled Manila.